Is Acne Caused by Water Softeners? Hard water contains high levels of dissolved minerals. 1 Is Acne Caused by Water Softeners? Hard water contains high levels of calcium, magnesium and other minerals, which prohibits cleansing products from dissolving properly. These undissolved products leave a residue on skin--often causing skin rashes. Hard water means that more soap will be needed, whether you are washing your face and body, or your clothes in the washing machine. Hard water combined with soap clogs pores and leaves a film on the skin. According to Mama's Health.com, this film is referred to as "curd" and it is a medium for bacteria growth. This hard water/soap film (curd) is often to blame for dry, itchy skin as well as rashes and other types of skin irritations. If you suffer from eczema, psoriasis or any other type of dermatitis, hard water will only exacerbate the symptoms. Hard water makes it difficult for shampoos and soaps to lather, which oftentimes makes people overuse the products. Excessive use of products in hard water is detrimental to your skin because hard water won't rid your skin the products sufficiently, leading to skin irritations. Hard water causes residue to build up on clothes, sheets and linens as well because the water in the washing machine will be the same water used for your shower or bath. According to DermaHarmony.com, skin can chafe when in constant contact with these items, leading to more skin irritations. 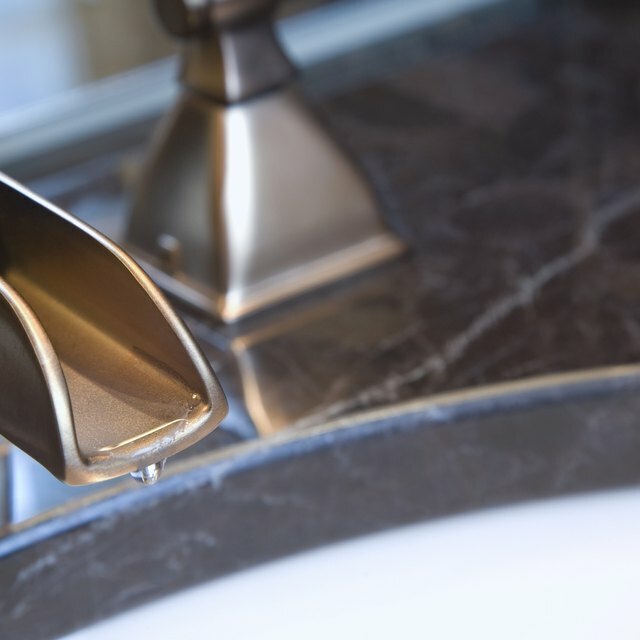 People who already suffer from dermatitis and other skin irritations will be more susceptible to the negative effects of hard water because hard water makes the skin unable to absorb moisture. This dryness will have the look and feel of a skin rash-- especially if you're persistently scratching. To prevent rashes caused by hard water, the best advice is to get a water softener installed in your home. If that is not possible, limit showers and baths and use gentler products, not soap. DermaHarmony.com also suggests using store-bought water for facial cleansing to prevent dry, itchy skin and eczema flare-ups instigated by the hard water.